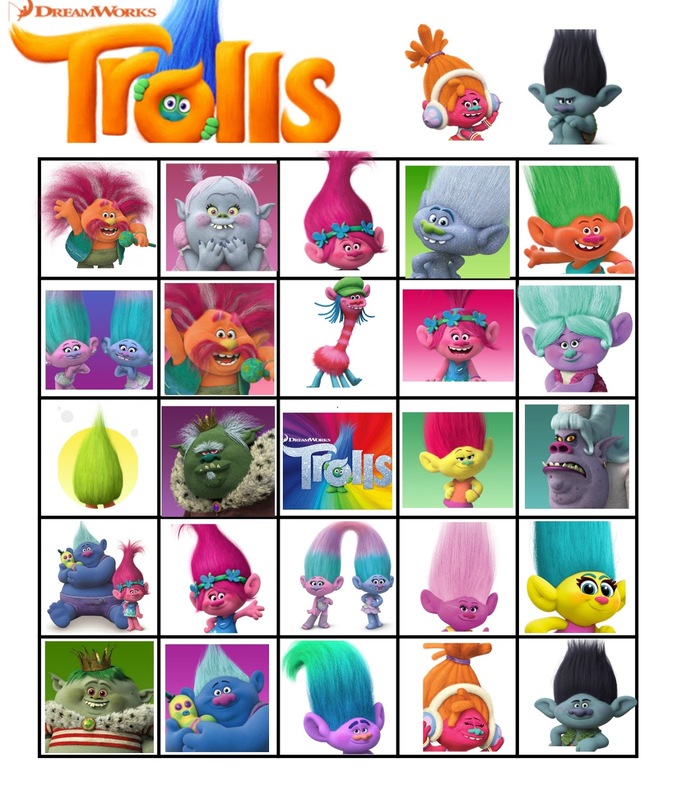 I created three different versions of bingo cards so not everyone has the same and saved them two to a page for printing. 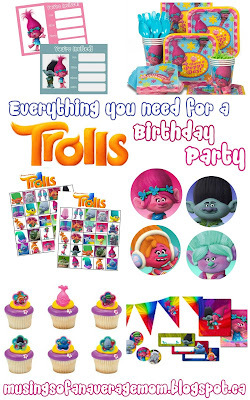 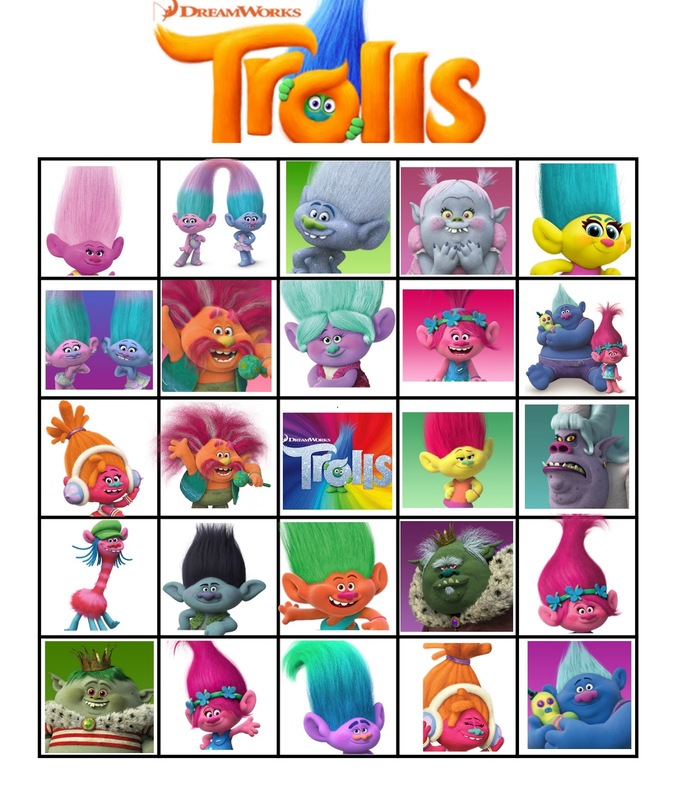 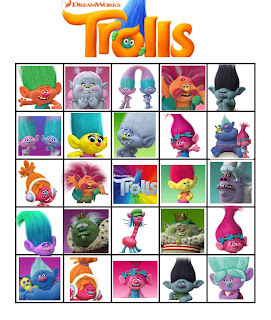 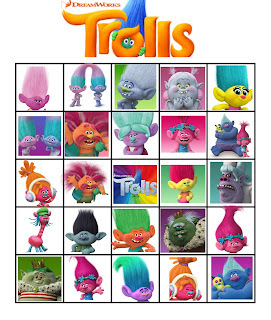 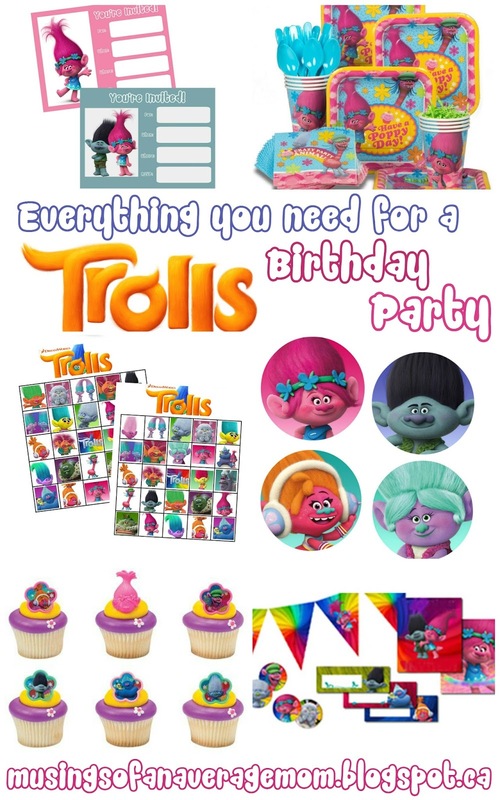 And you can find Everything you need for a Trolls Party including invitations, cupcake toppers and thank you cards I designed here. 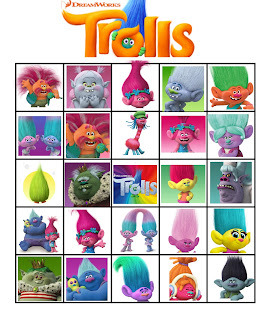 For the calling cards...how do you call the names of the trolls? There's no names written on anything. I just cut out the calling cards and show the images - I found the younger kids have an easier time matching images. 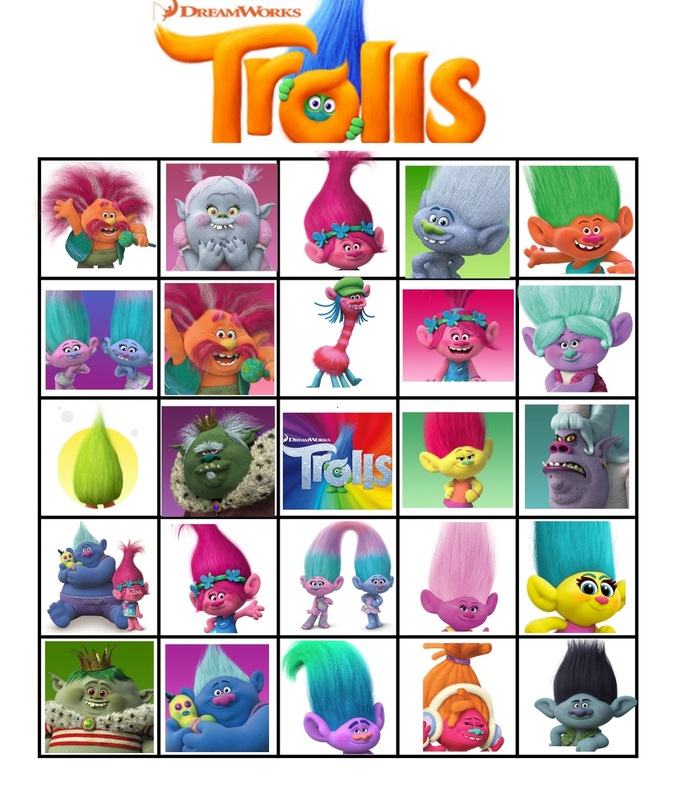 Thank you so much for this bingo it´s a great activity. 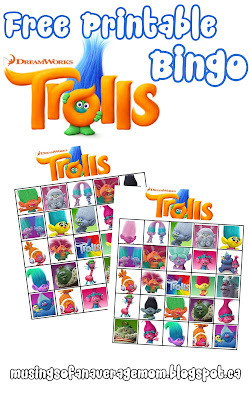 Could you pls check the links? 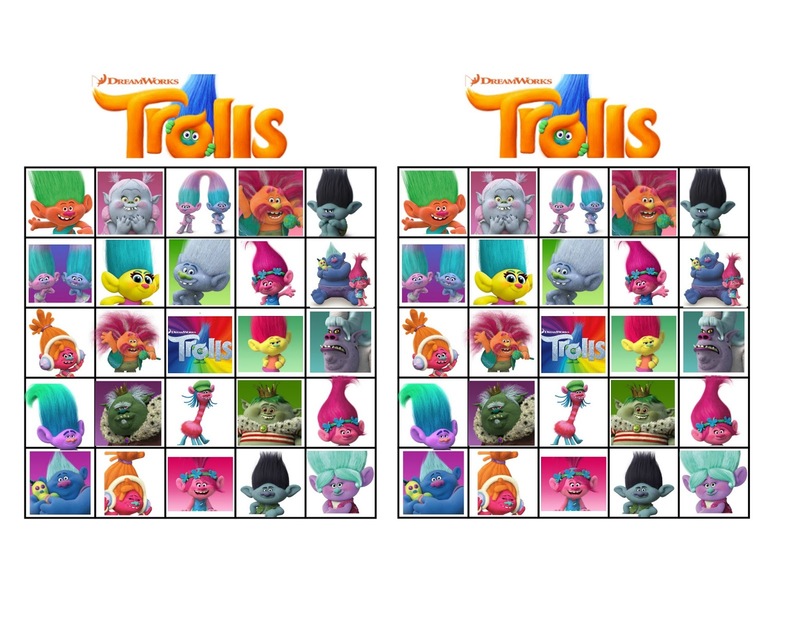 bingo card 1 and bingo card 3 are just the same.